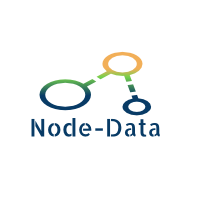 In this blog, we will learn how to create a Node.js application with Node-Data. Let’s assume that you are building an application for blogs and you want to create REST APIs which can be used by a front-end/mobile application. Add a model blogmodel.ts inside the Models folder. Add a repository blogmodelrepository.ts inside the Repositories folder. Model with @document to create a document inside Blogs collection. A repository with the blog name will create all the necessary REST end points. "thanks for this and Node JS topics! ".